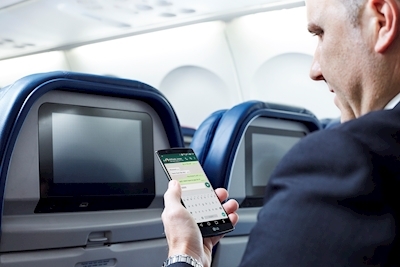 Automatically check-in with the Fly Delta App: Take checking in for your flight off your to-do list. The Fly Delta app automatically checks in eligible customers 24 hours prior to their scheduled departure. Receive an alert via email or push notification, open the app, acknowledge the federal government mandate for restricted items and your boarding pass is there, along with all the tools needed for their trip. Be aware of new TSA security procedures: TSA has rolled out stronger security measures across the U.S. In addition to screening personal electronic devices separately, TSA officers may ask travelers to remove other items from carry-on bags and place them in the bins, such as foods, powders and materials that can obstruct clear images on the X-ray machine. Travelers are also encouraged to organize carry-on bags, keeping them uncluttered, to ease the screening process and keep the lines moving. Pro tip: Learn how to pack that bin like a pro here. 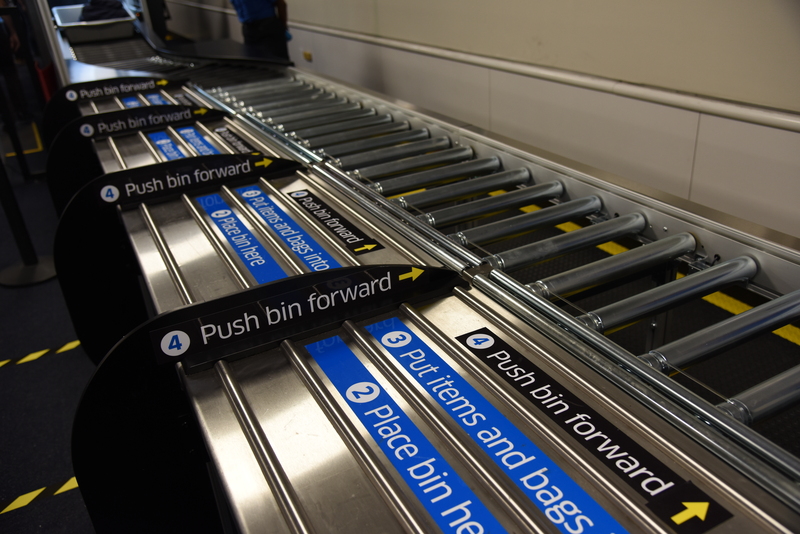 Take advantage of automated screening lanes: Delta and TSA spearheaded adding these quicker smart lanes in the U.S. They’re used at Delta hubs in Atlanta, New York’s LaGuardia and JFK, Los Angeles and Minneapolis-St. Paul as well as eight other major airports. Breeze through security with CLEAR: Join CLEAR – now available at 25 airports across the country – and speed through security with the touch of a finger or blink of an eye. U.S.-based SkyMiles members get exclusive pricing on CLEAR membership through Delta’s partnership with CLEAR. Pro tip: Delta Sky Club members with CLEAR or who are enrolled in Delta Biometrics Powered by CLEAR and hold a Delta Sky Club membership can use their fingerprints to enter any Delta Sky Club in the U.S. And, eligible SkyMiles members who are enrolled in CLEAR board their plane at DCA. Stay connected with family and friends in the air: Get a weather update from your friends at the beach while you’re on the way – Delta now offers free mobile messaging via iMessage, WhatsApp and Facebook Messenger, and is the first U.S. based global carrier to do so. This complimentary capability allows customers to stay fully connected with those on the ground and exchange real-time messages in flight with friends and family throughout the holiday season. Look to your seatback information card for instructions on connecting to Wi-Fi. Skip airport restaurant lines: Delta has food and beverage options from a refreshed Flight Fuel buy-on-board menu on flights over 900 miles, a variety of complimentary Main Cabin snacks and free Main Cabin meals on select coast-to-coast routes, to name a few. Those who want to start the celebration early can also now enjoy free Prosecco in every cabin on international Delta flights. Get peace of mind that luggage will arrive on time: Through Delta’s award-winningRFID bag tracking technology, customers receive live push notifications of their bag’s location at critical points, including when the bag is loaded on the aircraft, and all domestic airports offer a map view of the bag’s journey via the Fly Delta mobile app, so customers can track their swimsuits at every step of the way. Catch a Lyft ride or stay at an Airbnb and earn miles: SkyMiles members can earn miles for every Lyft ride or every stay with Airbnb, giving you another way to earn miles through everyday purchases this summer and all year long. This entry was posted in Delta Air Lines and tagged Delta Air Lines on July 21, 2018 by Bruce Drum.